Rain Barrels for the Roof! May has been beautiful in Vancouver, so far. I have dug out my flip-flops and cotton skirts, and have stowed my Hunters and my raincoat in the closet. I’m very excited: spring means growing things. The last few years, I’ve grown things in pots, but this summer, it looks like I might actually get a garden box on the roof. Still a pot, really, just bigger than before! 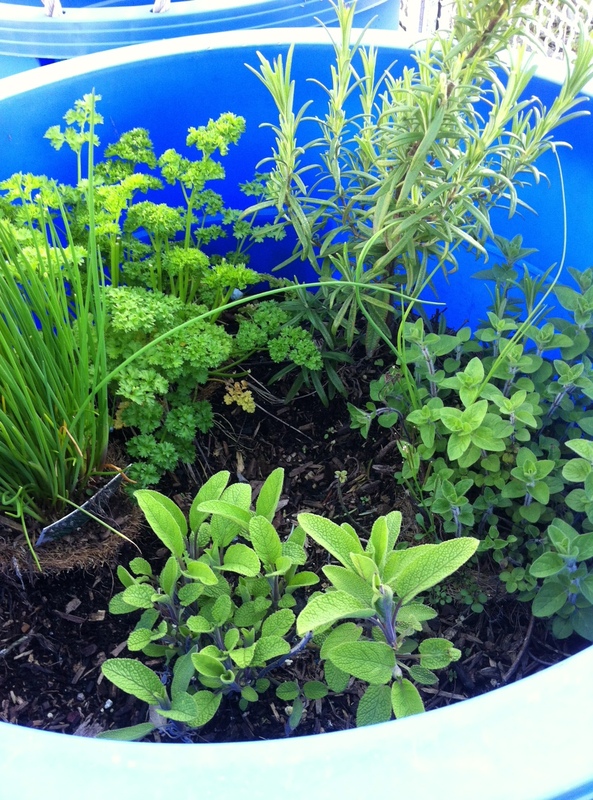 I spent last summer lugging 4 litre milk jugs that I’d filled with water up the stairs to the roof to water my herbs and vegetables. This year is gonna be different! 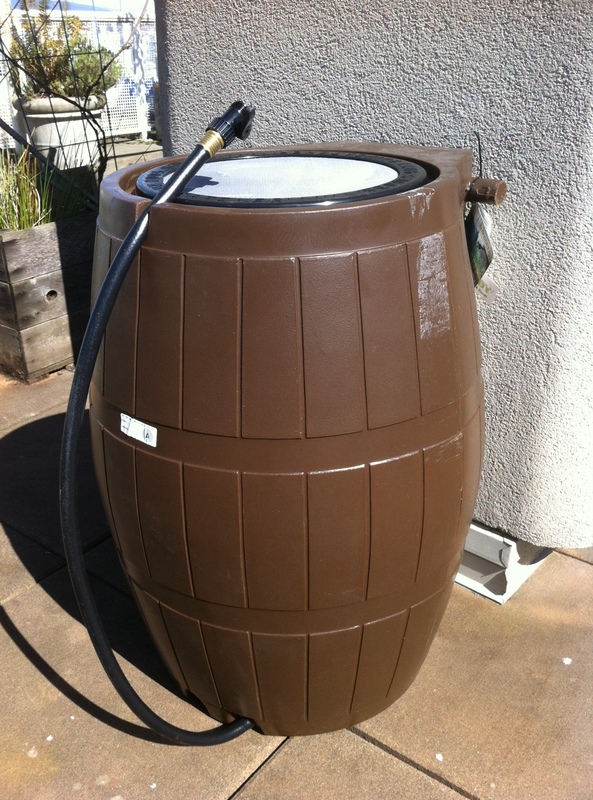 I applied to the City of Vancouver’s Greenest Cities Initiative and got a grant to purchase four rain barrels for our rooftop garden. I just bought them and installed them last week (and now there hasn’t been any rain! ), and now I’m just gonna let Mother Nature do her thing. And no doubt I’ll be posting garden status updates over the next couple of months. Sometimes in life, special occasions call for special food. A birthday, an anniversary, a holiday… all times when you might want to not cook the thing that you cook all the time (unless you are my son, then the answer to every special occasion is pizza). A special occasion is a great time to buy ingredients you wouldn’t normally use, special ingredients, the search for which can sometimes be a part of the fun. This recipe comes from Chef Michael Zmigrodski from Wildflowers Restaurant in Upstate, New York. I would serve this as an appetizer, before moving on to a main course, of say, puttanesca, followed by a basil olive oil ice cream with a strawberry balsamic reduction (working on those). The original recipe called for full-sized portobellos, but I found these adorbs li’l portobellinis at the store, and had to try them. This is much more of an appetizer portion. This recipe is crazy rich: meaty mushrooms, succulent eggplant, rich sun-dried tomatoes, creamy gorgonzola (I’m a huge sucker for blue cheese), finished with some lovely, fresh basil. This recipe is, by the way, vegetarian, and gluten-free, if you leave off the panko, which I added as an afterthought for a little texture and crunch. Just a quick note: you may want to prepare the stuffing the day before, as it’s easier to work with when cooled. Make these for someone you love (like yourself!) sometime soon. Preheat oven to 375°F. Gingerly brush mushroom caps with oil and place rounded side down, on a greased baking sheet. Pour approximately 3 tablespoons of oil in a skillet over medium heat. Combine chopped eggplant, onion, and sun-dried tomatoes. 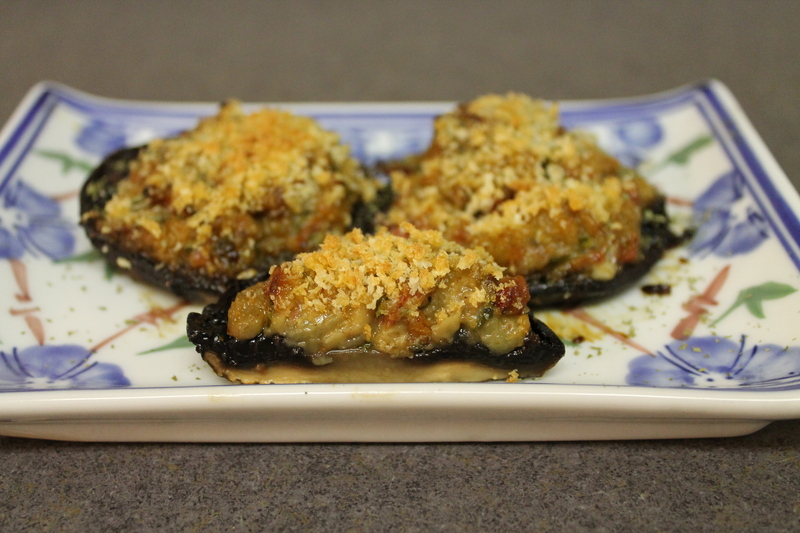 Cook until eggplant is becomes tender and browned. Then add garlic, and cook for about 2 minutes. Remove skillet from heat; stir in Gorgonzola cheese and 1 tablespoon of the chopped basil. Salt and pepper to taste. Once mixture cooled, stuff the mushroom caps with the mixture. Cover the mushrooms with aluminum foil and bake for 15 minutes. After 15 minutes, remove the foil and continue baking until stuffing turns a golden brown. Check tenderness of mushroom with fork. The fork should pierce the skin easily. For presentation, sprinkle mushrooms with the remaining chopped basil. Serve warm.